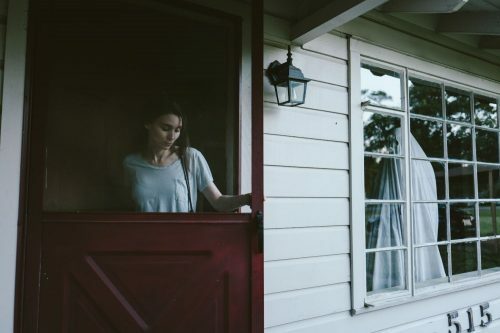 A24 announced today that it will release highly acclaimed Sundance favorite A Ghost Story in the UK on August 11th. The studio will partner with frequent collaborator Picturehouse Entertainment on the theatrical rollout. The film, a cosmic exploration of time, love, and the essential human longing for meaning and connection, was directed by renowned filmmaker David Lowery (Pete’s Dragon, Ain’t Them Bodies Saints) and stars recent Academy Award® winner Casey Affleck and two‐time Academy Award® nominee Rooney Mara. It premiered earlier this year at Sundance to rave reviews and was recently announced as the closing film at Sundance Film Festival: London. Recently deceased, a white-sheeted ghost returns to his suburban home to console his bereft wife, only to find that in his spectral state he has become unstuck in time, forced to watch passively as the life he knew and the woman he loves slowly slip away. Increasingly unmoored, the ghost embarks on a cosmic journey through memory and history, confronting life’s ineffable questions and the enormity of existence. An unforgettable meditation on love and grief, A Ghost Story emerges ecstatic and surreal — a wholly unique experience that lingers long after the credits roll.